Last weekend marked the hundredth anniversary of the sinking of the titanic, and to celebrate the film makers decided to release it in 3D, so that we could watch the ship subside once again in a suitably modern way. And what a success it was! Before the film I was slightly apprehensive of sitting through three hours, but the story is told in such a detailed yet well moving way that it doesn't feel too long at all. The film is split about fifty fifty between the exploration of character interactions and class (of course the relationship between our two lovers but also the relationship between Rose and her mother) and the actual sinking of the ship (from the moment it hits the ice berg until the end of the rescue operation). All is nicely encased in a back story of an old Rose helping scientists explore the wreck. 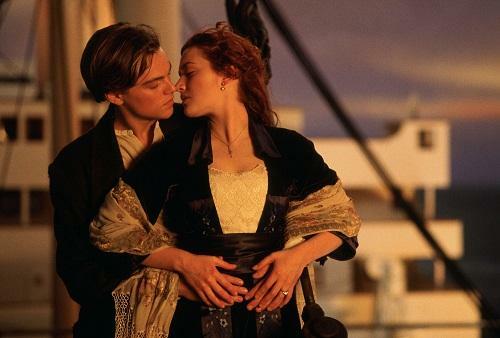 The actors are magnificent, Rose (Kate Winslet) and Jack (Leonardo Di Caprio) gel brilliantly as a couple, as well as members of Rose's family, crew of the ship and the wonderful string quartet delivering some great lines. My favourite moment had to be when Rose and Jack were dancing in the third class lounge, it looked like they were having so much fun, and the way it was filmed made it feel like we were there. As for the 3D, scenes that were made particularly impressive included the exploration of the wreck and the scene when the boat was upended. It made it seem a lot scarier and definitely added an exciting touch to the film. Every time this week when I have told someone I had never seen the titanic before last Saturday afternoon they look at shocked and horrified as if they couldn't believe what they were hearing. Now I know why, the film is such a classic everyone has to see it sometime. So if you haven't, see it. NOW. Whether you go and catch it in 3D while there's still the chance or rent a DVD from the library. You'll love it, and that's a fact.